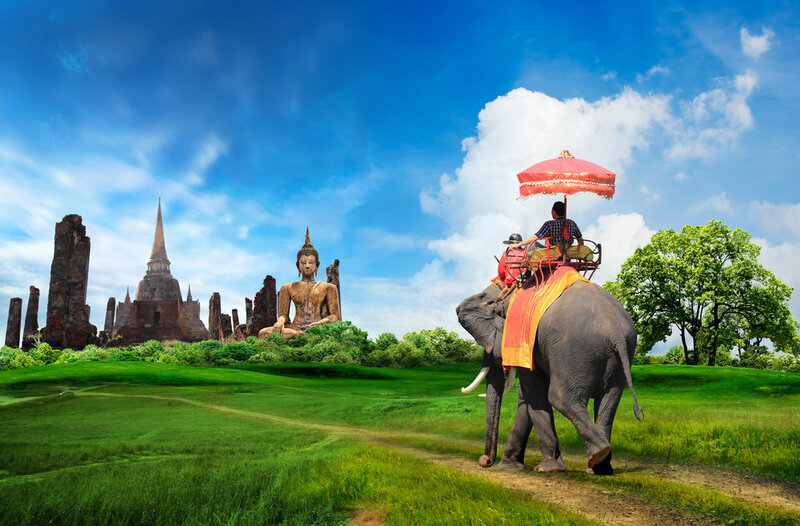 Thai culture has many intricacies, most of which the average visitor will never come across, however if you are looking to live in Thailand long term, it is important to be aware of cultural differences and to know which faux pas to avoid. Traditional Thai culture and etiquette is based around the concept of ‘face’ and pride. It is very disrespectful in Thai culture to make anyone lose face, especially in public. Other aspects of Thai culture are not so serious however, with many being focused around festivals and celebrations. Festivals in Thailand mainly celebrate the seasons and Buddhism. They are celebrated all year round, but two of the most famous include Songkran (Thai New Year) and Loi Kratong. Every April, Songkran is celebrated with countrywide water fights. In traditional Thai culture, the New Year is a time to wash away the sins of the year gone by and cleanse the body with water, however in recent times it has turned into a nationwide water fight with much of the country grinding to a halt while people of all ages take to the streets with their water guns. It is great fun for all who take part and lasts anywhere from a couple of days to a whole week. Loy Kratong is a much less boisterous celebration and is celebrated on the full moon in November.It is a festival of lights, with people sailing beautiful handmade kratongs (small boats made from banana leaf and decorated with a candle and coloured paper) down the river to carry away their bad luck. Lanterns are let off into the night sky carrying with them people’s dreams. Other festivals include Buddhist lent (Khao Phansa) which is celebrated in July/August and marks a period of three month retreat for monks. They retire to the monastery for the whole of rainy season to meditate and study. The birth, enlightenment and Nirvana of the Buddha are celebrated on Visakha Bucha Day, in April/May and royal celebrations such as Coronation day and The King and Queen’s birthdays are also held throughout the year. Local festivals are held in regions throughout the country all year round. Thai food is internationally famous. Whether chili-hot or comparatively bland, harmony is the guiding principle behind each dish. Thai cuisine is essentially a marriage of centuries-old Eastern and Western influences harmoniously combined into something uniquely Thai. 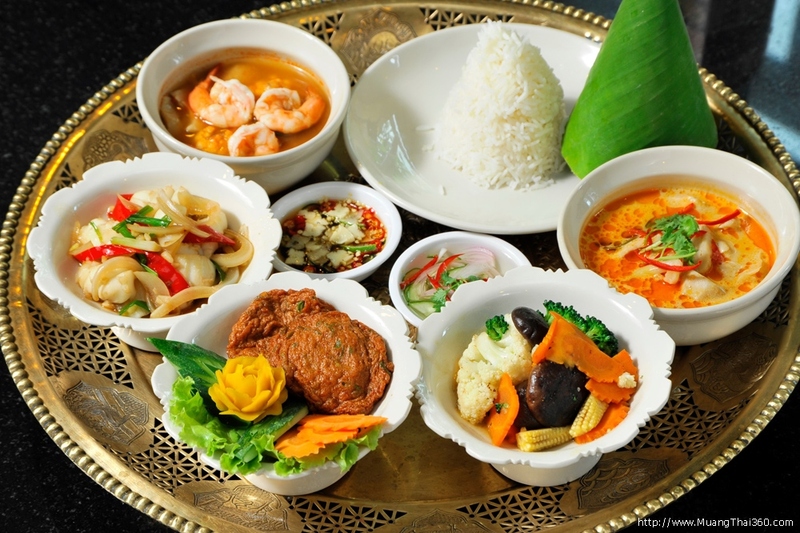 The characteristics of Thai food depend on who cooks it and who it’s cooked for. Thai cooking also reflects the characteristics of a waterborne lifestyle. Aquatic animals, plants and herbs are major ingredients. Large cuts of meat have been eschewed with their Buddhist background, Thais shunned the use of large animals in big chunks. Big cuts of meat were shredded and laced with herbs and spices. Traditional Thai cooking methods were stewing and baking or grilling. Chinese influences were responsible for the introduction of frying, stir frying and deep-frying. Culinary influences from the 17th century onwards included Portuguese, Dutch, French and Japanese. For example, chilies were introduced to Thai cooking during the late 1600s by Portuguese missionaries who had acquired a taste for them while serving in South America. Thais were very clever at 'Siamese-ising' foreign cooking methods, and substituting ingredients. The ghee used in Indian cooking was replaced by coconut oil, and coconut milk substituted for other daily products.